The attack started in late October but has grown in the last few days to overwhelm the nation's link to the net, said security firm Arbor Networks. Reports from Burma say the disruption is ongoing. The attack, which is believed to have started on 25 October, comes ahead of closely-watched national elections on 7 November. International observers and foreign journalists are not being allowed into the country to cover the polls. In the last elections in 1990, Aung San Suu Kyi's National League for Democracy (NLD) won a landslide victory but the junta ignored the result and have remained in power ever since. 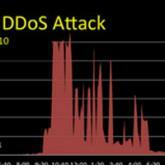 The Distributed Denial of Service (DDoS) attack, as it is known, works by flooding a target with too much data for it to handle.